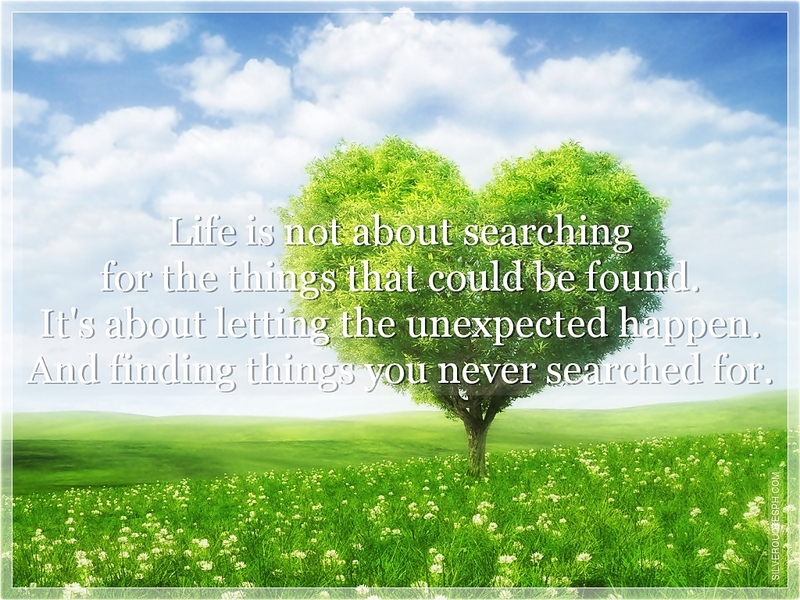 Life is not about searching for the things that could be found. It's about letting the unexpected happen. And finding things you never searched for.